If you are Hiring a Mechanic a good interview can make sure you select the right one. Recruiting Mechanics is hard enough, once you have them in for an interview you have to make sure to ask the right questions, this will not only give you a better idea of how good the Mechanic is but will also show the mechanic that you are prepared, know what you are doing and are a good company to work with. It is important to have a mix of all three types of questions but also don’t ask them all grouped together, mix them up within the interview. At the very end I will include a template you can use that is designed with the flow of the interview in mind. All of these questions will work for almost any type of mechanic but were written with Diesel, Automotive and Heavy Equipment Mechanics in mind. 1. Why did you get into the trade? This is an interesting question that can give you a lot of insight about their motivations. A lot of time I will hear something along the lines of ‘I grew up tearing things apart and fixing them’ or ‘my dad was a mechanic and I loved working in the shop with him’ those are usually the best techs. Sometimes you will get ‘seemed like a good way to make a lot of money’ this isn’t a bad answer but indicates you might have someone who is money hungry. 2. Why are you available or looking at new opportunities? Did they just get fired, do they hate their boss, do they need more money, a different shift, closer to home etc. Their motivations for making a move are important and can be a good indication if they will be a long term fit with you. Did they do some research on you prior to interviewing? If so that is a good sign that they are serious. If not it is an indication that they just need a job and may not care who it is with. This gives you a good idea of not only their motivations but what your selling features are to other mechanics for future interviews. 5. What in your previous experience and/or training makes you feel you would be a good fit for us? 6. What are your wage expectations? 7. What shifts are you available for and what is your preferred shift? 8. If selected, when are you available to start? If they are currently working you want them to say 2 weeks, if they say immediately that likely means they are not going to give their company notice which is a red flag. It may also just mean they know their company has a policy of not accepting notice and they could be available immediately. 9. Why did you leave your previous employers? If they have routinely been terminated that is a red flag, if the same issue keeps coming up at multiple places that could also be a cause for concern. 10. Can you supply us with references? Ask them to e-mail them to you, this will give you an example of their written communication and ability to follow direction. You can also see how serious they are about the job based on how quickly they get the references to you. 11. Is there anything that was not covered on your resume or in this interview that you feel we need to know? 1. Tell me about a situation where you sacrificed safety for speed. Don’t ask, have you ever sacrificed safety for speed, they will almost always say no, assume they have and see what they say. 2. Tell me about your favourite supervisor or manager that you have worked for, what made them great? This will give you a good idea of what management style they respond best to, does this match up with your shops supervisor? 3. Tell me about a disagreement between you and another mechanic on the shop floor, how was it resolved? 4. If you had the choice would you rather work a day on the floor and get paid time and a half or spend a day receiving technical training getting paid regular wages? How important is training to them, if it is very important this is likely someone who has a real passion for the trade. If they take the money that isn’t terrible but you may have someone who will leave your company down the road for more money elsewhere. 5. Would you rather get paid more to work on something you don’t like i.e. Waste Trucks or get paid less but work on something you love i.e. Motorcycles or Classic Cars? Work on what you love or just for the money? You ideally want a mechanic who has a passion for the trade. 6. Tell me about a time that you took ownership of a situation or took the lead on the floor without being asked to. 7. How do you feel about borrowing tools or lending tools to other technicians? If possible have a technical person with you for the interview, ideally a Service Manager, Supervisor or lead tech, they can ask probing questions and get a good understanding if the person knows that they are talking about or not. 1. What types/brands/models of equipment/trucks/cars do you have experience working on? 2. What types of repairs and maintenance do you have experience with? What type of repair do you specialize on? 3. What are your favorite jobs to do? 4. What are your least favorite jobs to do? 5. What diagnostic tools do you have experience using? 6. In your most recent position, what kinds of jobs did you get a lot of? This speaks to the confidence level that their manager had in their technical ability. If they were responsible for preventative maintenance they were not seen as a highly skilled tech, if they were doing engine jobs they were probably seen as one of the better mechanics in the shop. 7. Do you have experience working in the field? If so do you like working in the field? Typically field work is reserved for trustworthy techs that can solve their own problems and work independently. If they have field experience it is usually a good sign. 8. What experience do you have with indepth engine and transmission repairs? 9. Do you have a complete tool set? Ideally they will be able to tell you a rough idea of what they have or value of their tools. A mechanic can not do their job without tools and you shouldn’t hire anyone unless they have a bare minimum of $10,000 in tools. If it is an entry level or apprentice job then that is fine if they have less but good tools are expensive and a good mechanic needs a lot of tools to be able to do a variety of repairs. A mechanic is only as good as his tools! As mentioned above you want to have the interview flow and be a mix of general, behavioral and technical questions. Start with some really easy questions, keep in mind the interviewee is going to be nervous so you want a couple that they can answer easily. This will get them talking and more comfortable. Feel free to use the below for your next Mechanic interview. 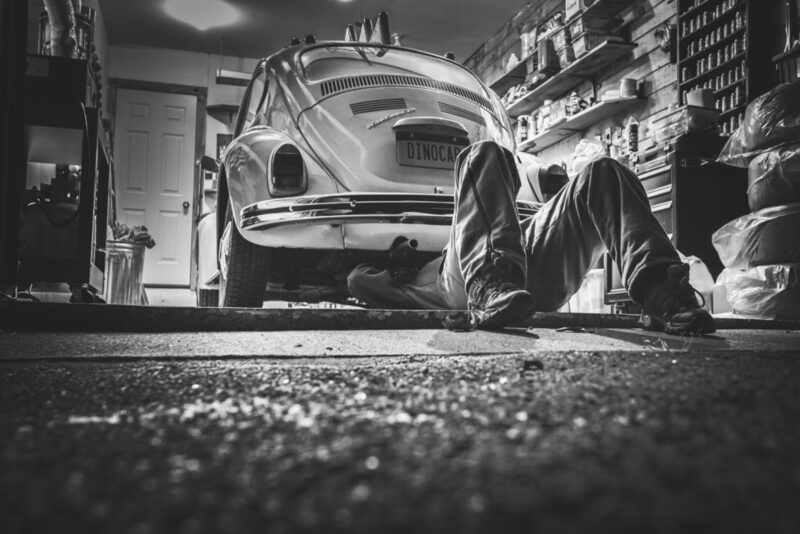 If you are having a hard time finding mechanics to interview please see our article titled “How to Hire Mechanics – Finding Technicians.” If you need to Recruit Mechanics in a hurry Contact Rockstar Mechanics to get a search started or give us a call at 1-833-762-5787. 3. What types/brands/models of equipment/trucks/cars do you have experience working on? 4. What types of repairs and maintenance do you have experience with? What type of repair do you specialize on? 5. Tell me about your favorite supervisor or manager that you have worked for, what made them great? 7. Why do you want to work with us? 8. Why did you leave your previous employers? 9. What are your favorite jobs to do? 10. What are your least favorite jobs to do? 11. Tell me about a disagreement between you and another mechanic on the shop floor, how was it resolved? 12. If you had the choice would you rather work a day on the floor and get paid time and a half or spend a day receiving technical training getting paid regular wages? 13. What diagnostic tools do you have experience using? 14. In your most recent position, what kinds of jobs did you get a lot of? 15. Tell me about a situation where you sacrificed safety for speed. 16. Do you have experience working in the field? If so do you like working in the field? 17. Tell me about a time that you took ownership of a situation or took the lead on the floor without being asked to. 18. How do you feel about borrowing tools or lending tools to other technicians? 19. Do you have a complete tool set? 20. What experience do you have with in depth engine and transmission repairs? 21. Would you rather get paid more to work on something you don’t like i.e. Waste Trucks or get paid less but work on something you love i.e. Motorcycles or Classic Cars? 22. What in your previous experience and/or training makes you feel you would be a good fit for us? 23. What are your wage expectations? 24. What shifts are you available for and what is your preferred shift? 25. If selected, when are you available to start? 26. Can you supply us with references? 27. Is there anything that was not covered on your resume or in this interview that you feel we need to know?